Just a quick post to tell you about my interesting Tuesday. (My case got canceled this morning, and I had the whole day marked off for it, so I have lots of extra time on my hands today.) My dermatologist had surgery and won't be in the office for a while, and as luck would have it, I ran out of my face meds, which I cannot live without (well, I can, but I look pretty rough). 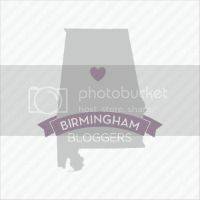 Therefore, I had to schedule an appointment with a new Dr. in Birmingham. I just so happened to have yesterday afternoon free so I left at lunch and headed to Birmingham. The really great thing was that I was going to get a massage after my appointment! Forrest bought me a Groupon for an hour and a half massage at Escape a few months ago and I have been dying to try it out. I am happy to report that it was amazing! It was a deep tissue massage so it kind of hurt when she worked all of my knots out (who knew I had knots in my shoulders?) but it was very nice! She used the hot stones and wrapped my neck, feet and hands in hot towels! I also had a hot towel on my eyes and my wrapped hands were placed on really big hot stones. It was VERY relaxing and now I am spoiled because I want another one. Once I made it home, it was time to turn around and go to book club at Jenny's, where we had a blast as usual. Hooray for fun weekdays like this!! what a great day!!! Good to see you last night as always!!! We are among of the one of top spa service providers in Mumbai. We offer the best natural and fast effective, spa treatment to you which include head, hair, and skincare to make you feel relaxed. At the best affordable price.